Milan is the second largest city in Italy and a popular tourist destination which is growing in popularity. Mention of the word Milan as your holiday destination and you will find envy writ large on people’s faces. Milan, one of the most romantic and important cities of Europe is also an important city from the standpoint of industry, politics, industry, tourism, education and a popular destination for holiday makers. This city, besides being well known as a tourist destination also has a rich and varied historical heritage where the Romans, Celts, Huns, Byzantines and the like have contributed to its construction and sometimes destruction as in the case of the Huns who plundered the city in the 5th century. It was only in the twentieth century that Milan finally made it as a flourishing city of Europe. Of all the myriad of activities and places of interest in Milan, there are a few top places which should be on every tourist’s wish list. With most of the population being Roman Catholic, there is a whole host of churches, cathedrals, religious sites and historical buildings to be experienced by a visitor or travel enthusiast. Cathedral Duomo is the cities number one attraction. The second largest catholic cathedral in the world, this structure which took over half a century to construct is an awe-inspiring sight. 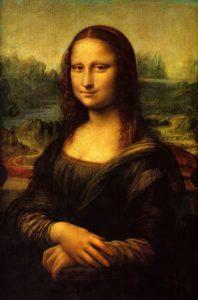 Leonardo da Vinci has contributed richly to the cities wealthy and diverse inheritance and examples of his works or art are evident all over the city. Art lovers should not miss out on the most spectacular and amazing experience of all times. The Last Supper goes down in history as being the most breathtaking works of Leonardo da Vinci. Its outstanding beauty, expanse, detail and grandeur not only make you shudder but also bring a tear to your eye. Advance booking is recommended as only a few viewers permitted at any one given time to protect the painting from humidity and heat. Top class accommodations dot the city with various categories to choose from. Five star luxury accommodations to bed and breakfasts are all there for the choosing. With the city so keen on promoting tourism, the accommodations are well known for their hospitality and gourmet food. Fashion is of utmost importance to the people in Milan. Plenty of fashion houses have set up shop there right from haute couture stores like Quadrilatero d’Oro which is a high end fashion house catering to the needs of the rich and famous to the more easy on the pocket stores on Corso Buenos Aires. Who has not heard of fashionable Italian shoes, dresses and suits are also a must buy from Milan. Top fashion names like Giorgio Armani, Prada, and Dolce & Gabbana have contributed much to making the city world famous. Food in Milan is a gourmet’s haven. A wide variety of epicurean delights can be sampled at the restaurants in Milan, with many a high class restaurant, and road side cafes serving Italian delights. A city rich in history and culture, a tourist destination of sun and sea, pleasant weather makes it possible to have a comfortable stay anytime of the year except July and August when the heat and humidity get the better of you. 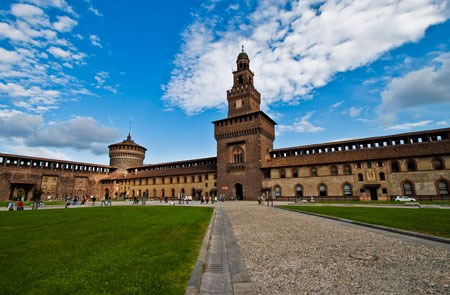 If you planning a vacation to Milan, then you must read our section on Milan tourism. We have covered a number of areas of interest to the potential tourist including the weather, money, the culture, the activities in Milan and much more.